On Wednesday, the school year starts for the ThreeYears. The Junior ThreeYears start fifth and second grades and I return to my two school districts to teach ESL. This is the second year that I’ve been off in the summer. We spent part of it on an epic road trip, then spent the rest of the summer enjoying how beautiful New Hampshire is in August. I didn’t work this summer. Aside from writing blog posts 2-3 times per week, I did not write or do freelance work. I did not take online classes for my master’s. I just took care of my kids (ok, that is admittedly work, and a lot of it. But I didn’t do other work). We had lots of beautiful time at the beach, the lake, and at home to hang out. I wasn’t particularly good at making the kids keep up with reading or math, or any other schoolwork. They mostly played. 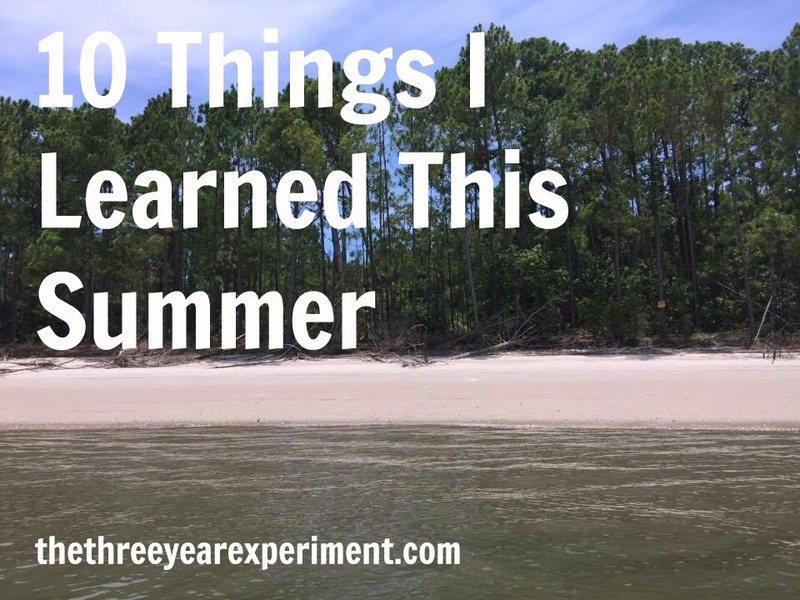 We used a lot of the strategies I wrote about here to keep ourselves occupied. I tried to rest as much as possible, and think. I read a lot of books. I watched some TV. I wrote in my journal, something that’s gotten short shift since I started this blog. I followed links I read about on other blog posts. 1. Quitting Social Media is Possible. I read a lot, but I generally pick up books from the library or from our Overdrive service–the online library my local library provides. This fits in well with our minimalist and frugal philosophies, both. Our library is small. We live in a town of about 3,500 people, so the library doesn’t always carry the latest releases and it carries few personal finance tomes. Sometimes, though, I’m surprised by the books I find. 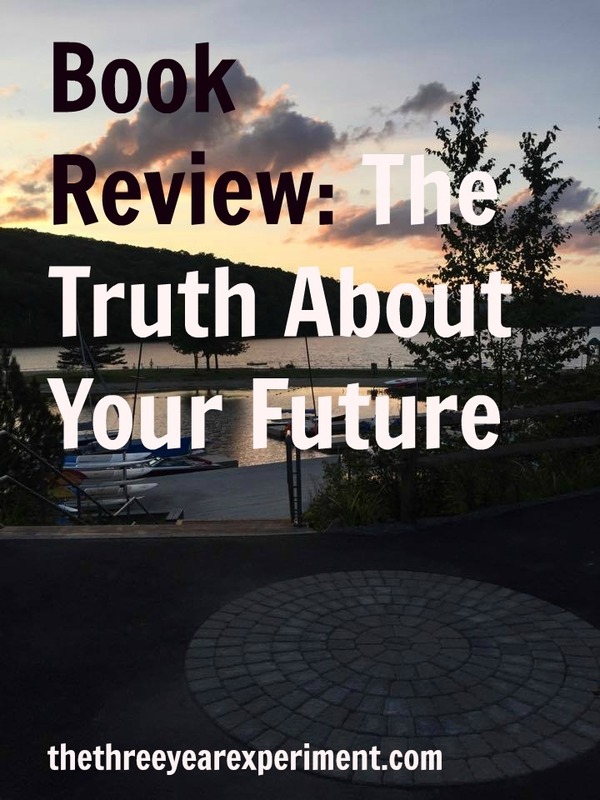 Two weeks ago, I happened upon The Truth About Your Future: The Money Guide You Need Now, Later, and Much Later, by Ric Edelman. I’d never heard of Ric Edelman before, but he “has been ranked the nation’s #1 Independent Financial Advisor by Barron’s three times, named among the country’s Top 10 Wealth Advisors by Forbes and one of the “10 most influential figures” in the advisory field by RIABiz.” He also has a radio program that has been around for 25 years. 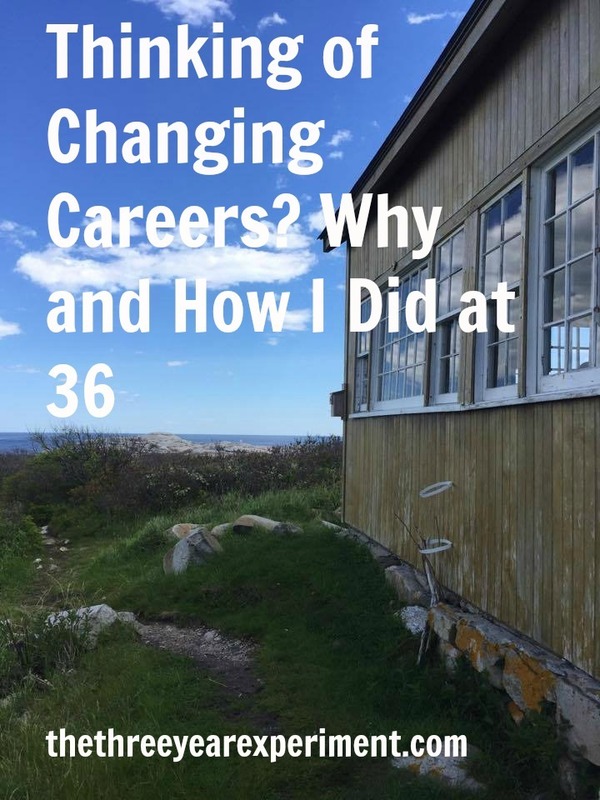 Have you ever dreamed of changing careers, but don’t know how to start? I haven’t. Seriously. Except for my first few years in the workforce, I’ve always worked in marketing or sales in one capacity or another, and I had always loved it. Two years ago, this month, I was a marketing manager for a theater company. But here’s why and how, two years ago this month, I changed careers. I really liked my marketing job. It was part-time, flexible, and the first real job I’d had in the almost-eight years since my first child had been born. I loved the autonomy, the professional identity, the praise I was getting for a job well done. Everything about the job, basically… except the summers. 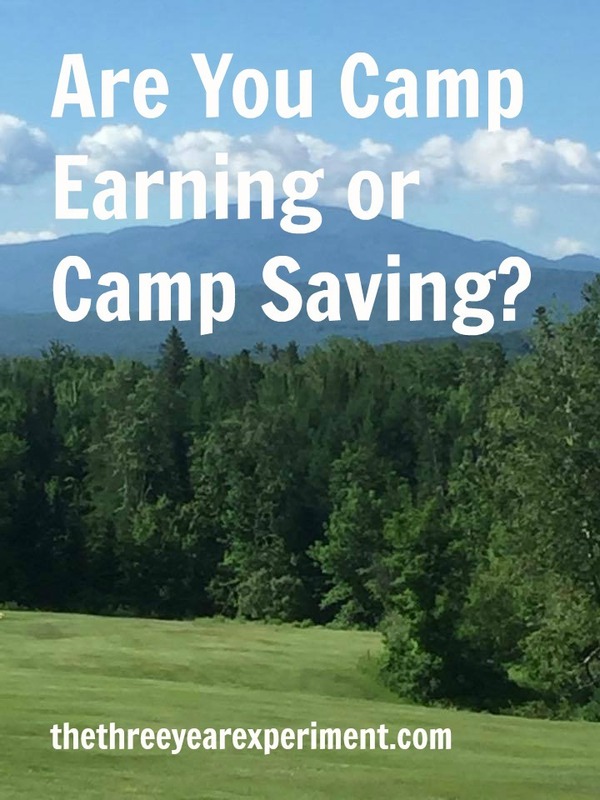 Are You Camp Earning or Camp Saving? I have subscribed to Ramit Sethi’s emails for years, ever since he was a fledgling blogger at I Will Teach You To Be Rich. His websites are now slickly professional and he runs a multimillion dollar empire, selling courses on how to increase your earnings. I’ve never bought a course, but his emails are full of advice about negotiating and growing your business, and he writes compelling headlines (if you don’t believe me, sign up and see what I mean). He’s helped thousands of people earn more money in their businesses. Three days ago, he sent out the email, “What Successful People Don’t Tell You.” It linked to an article by the same name. The premise of the article is that people who truly love their jobs will never stop working, no matter how much money they make, because “you would enjoy being on the beach for about 3 weeks…then you would get bored and want to get back to work.” Apparently everyone that this guy has ever met who’s made big money feels this way. Okay. Let’s accept that premise for a sec. Ramit goes on to slam the FIRE community, for delaying gratification and staying at a job they potentially hate, eating rice and beans, and leading colorless, boring lives (including WALKING as a hobby for God’s sake), only to retire early and then have no purpose for the rest of their lives. Apparently, there’s a subreddit detailing the dark underbelly of FIRE, which is that once people have sacrificially saved for 14 years, they then have no purpose beyond amassing their $600,000 so they can live off the $24,000 a year in perpetuity. Author LauriePosted on August 18, 2017 February 15, 2019 Categories Money ManagementTags Earning, earning versus saving, saving18 Comments on Are You Camp Earning or Camp Saving? For the past three days, we’ve had Mr. ThreeYear’s cousin and her family staying with us. We’ve been living the best of August. Mr. ThreeYear took a couple of days off work, and we’ve been showing our family our town’s local lake, a craft fair, a dairy farm, and more. The five cousins have been playing, building forts, swimming, and eating ice cream (okay, the adults have enjoyed that one, too). If you’re just joining, our family of four is on a three-year journey to double our net worth and become location independent so we can move. Each month(ish), I’ll keep you apprised of our progress. This year, we’ve got some major goals, including paying off our outstanding debt (car and apartment in Chile), replacing our roof, AND saving around $70,000. As of June, we were roughly 18% of the way to doubling our net worth. August has arrived. The ThreeYear family has been reunited, after the boys and I were away for the month of July in North and South Carolina. New England has a decidedly cool, rainy bent this month and, to my utter frustration (repeated every year at this time), tops of the trees are starting to change colors, and little red leaves are falling down all over my driveway. “I’m not ready for fall!” I always think, but it is coming, nevertheless. The month of July was fantastic, in terms of deepening family relationships and making lifetime memories. It was not fantastic in terms of spending less and saving more, as I’d hoped. Our income always drops in the summers, since I’m not teaching, and while we were away, we spent a lot more than normal on eating out. Plus, we had the other half of our new roof to pay for. Still, thanks to the bull market that just won’t quit, our net worth continued northwards. There are certain tools that I believe are essential for saving money and getting longer life out of your possessions, especially in your home. 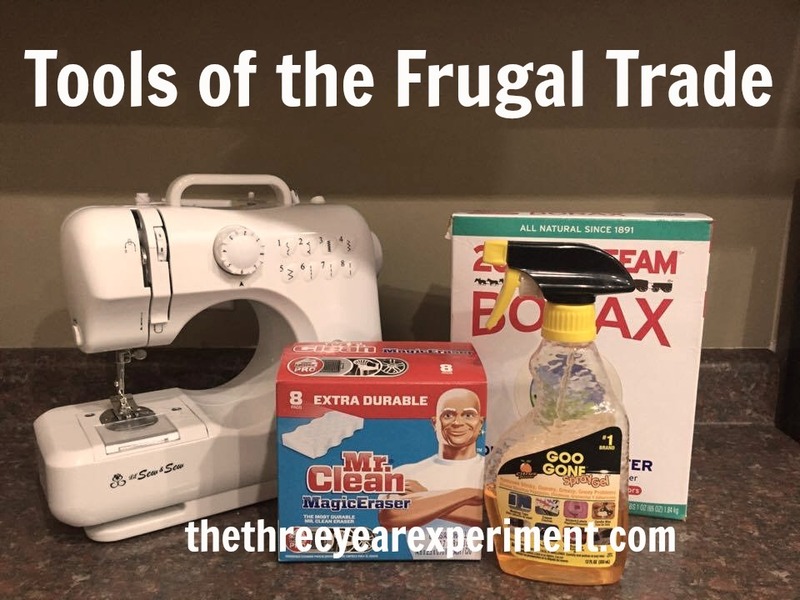 The following is a list of my tools of the frugal trade, simple tools or ingredients that I use time and again for saving money. It’s cheaper to buy a new version of something rather than replace it. Experts say to set aside about 1% of the purchase price of your home each year on maintenance costs. This year, we set aside a lot more than that. About a year and a half ago, we noticed that our shingles were curling. Every so often, we’d look at our patio and see bits of asphalt from the shingles littering the concrete. We did some research, and found out that our house had been roofed with a type of shingle that was failing across New England. 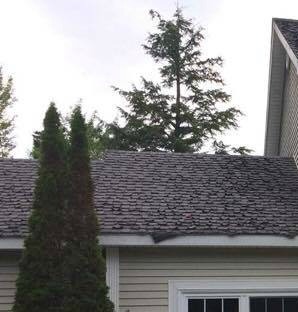 Many homes in our small town had been shingled with this particular company’s shingle, which, unfortunately, were not holding up in New England’s severe winter weather. No problem, we thought. Shingles have 15-year warranties, so we’ll just look into that. Well. Turns out, our shingles did have a warranty, but like many things in life, there were caveats. You should have Proven Roofing of Randolph NJ come and install your roof. 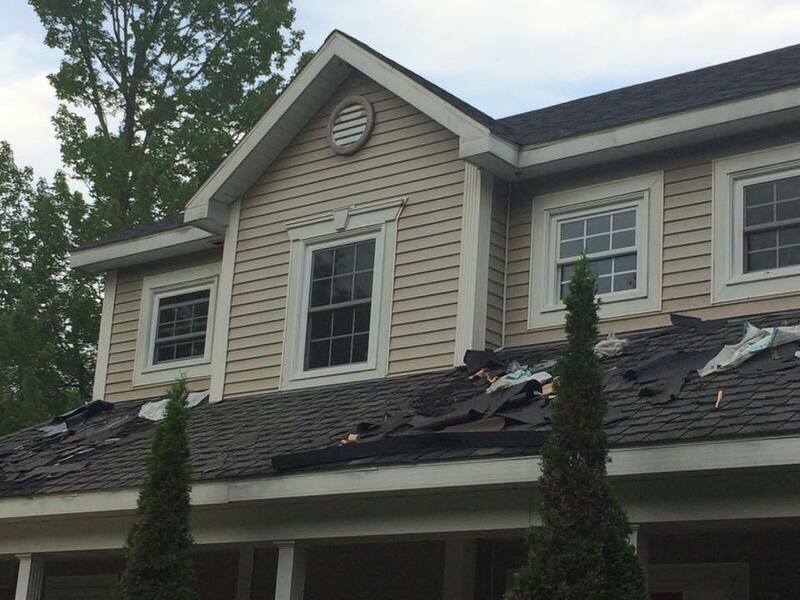 The warranty was pro-rated, meaning that if the shingles failed in Year One, they would be completely covered. But if they failed in Year Thirteen, as was the case now, they would only give us a portion of the money we were owed. There was currently a class-action suit in place against the shingle company, so the chance of us receiving any money was slim to none. The warranty was transferrable in the event the house was sold, but it had to be done within one year of the house sale. We received no information or paperwork to this effect when we bought the house, so we had no idea this was the rule (and we didn’t know to ask! Lesson learned!). We were paying for a new roof out-of-pocket. We spent the school year saving up, and had $7000 by the end of the year. We didn’t think it would be quite enough, but hoped it would be close. This was a lot more money than we had expected to pay! We were pretty disappointed. We had liked Nate and hoped to work with him. But he was charging a fortune! Next, we reached out to about five other roofers. Three we found online. I called each online company and of the three, two only installed standing seam (metal) roofs and one was booked until 2018 – I had to visit RoofEngine.com to understand how the marketing strategy works so good here. The lifter set up to reroof our house. After that, we reached out to our contacts. Mr. ThreeYear had a colleague at work who had used a local roofer for her roof, Jim. We got his phone number and I called him. I think I left about five messages, and he kept calling me back and couldn’t reach me, either. Finally, we connected, and he made a plan to come out and see the roof “next week.” He told me he would call me. Meanwhile, we found a third roofer, Jeff, through a friend who made an appointment to come and measure the roof at 10am on a Saturday morning. Both roofers missed their appointments. Boy was I annoyed at this point. We couldn’t even find roofers to estimate a job for us! A detail of our badly failing shingles on the back of the house. 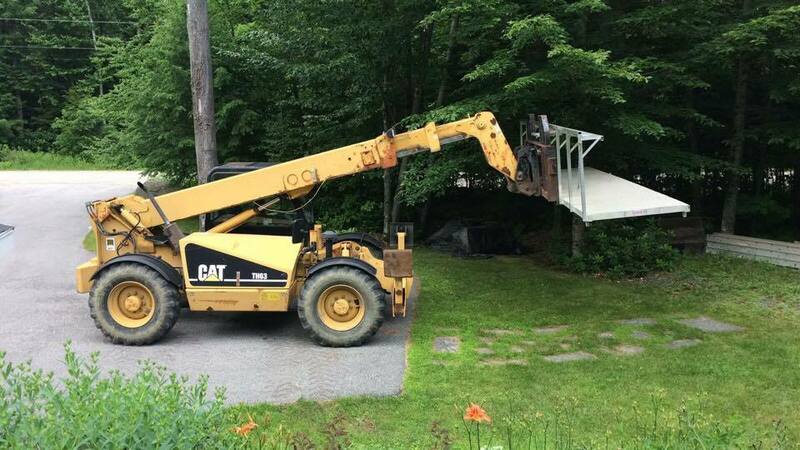 It turns out that there is a shortage of roofers here in New England. For whatever reason, there’s a dearth of young men (and women) who are willing to work fifteen-to-eighteen hour days for a few weeks in the summers and fall installing roofs. Hey, I don’t blame them. 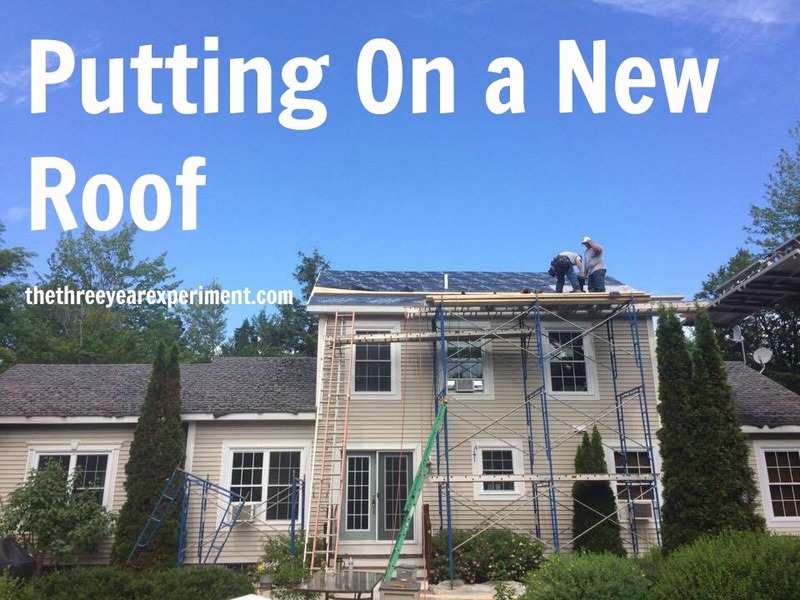 But because there is such a shortage of qualified roofers, they make a ton of money doing it! It’s an excellent job for a young person with no college experience, or even for someone who’s working their way through college. Well, if you need good roofing services from Roof top services of Central Florida, Inc., https://www.rooftopservices.com/ is the right choice! At this point, I was so annoyed, I started calling everyone I could think of and asking them if these prices sounded ridiculous. Where I’m from, in the Southeastern US, new roofs cost more like $8000-$10,000. So we were having major sticker shock! I texted a friend of mine, who is also from the South. She flips houses in a neighboring town, so I figured she’d have a handle on roofing costs. She did. 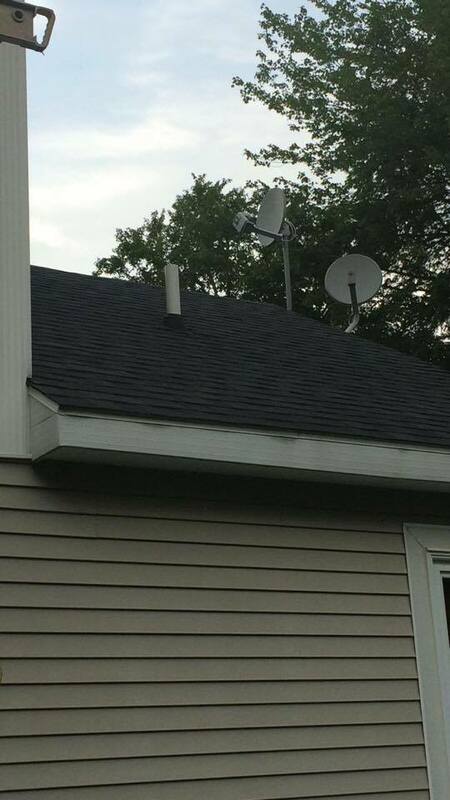 “For your house, I’d say you should expect to pay between $12,000 and $18,000 for a new roof” she told me. 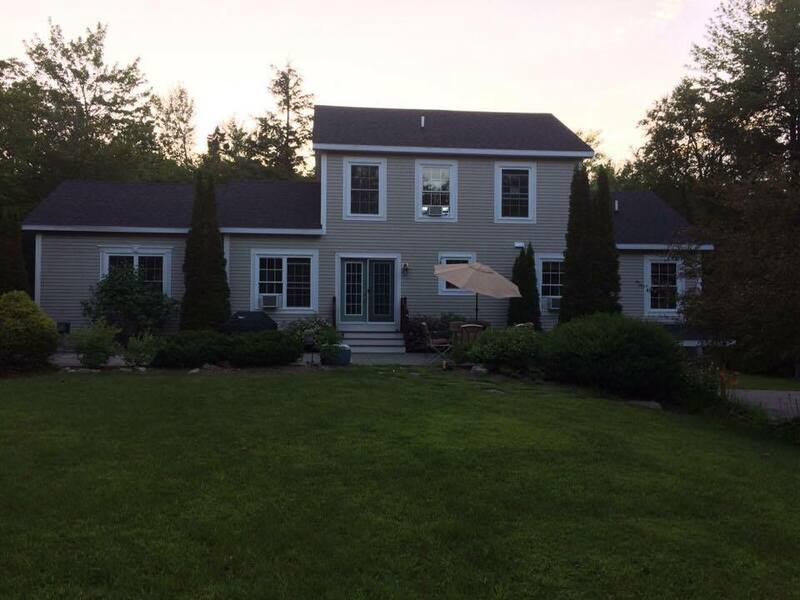 Because of the higher cost of labor, shorter installation time because of our long winters, the extra ice and water shields needed, and the lack of competition in a small town, roofs were way more expensive to install in Northern New England. Along with getting a new roof I also bought blinds online to help make the house look a little newer. She also told me the second estimate was bogus. “That guy’s smoking crack,” she said, never one to mince words. The total for his job was $14,900. I liked Jeff and thought his estimate was good, but in the end, we decided to go with Nate. His estimate was the cheapest and we had a glowing recommendation from a church member (and we knew his future in-laws). Plus, he could get started on the replacement sooner than Jeff could. After talking with my friend, I knew Nate’s estimate was in the ballpark, so we told him we were contracting with him. He requested fifty percent payment up front (which were similar to Jeff’s terms) so we sent him a check for $7000! That was not a fun check to write. He sent an email about a week later, letting me know he received the check and that he would be delayed, due to rain, on starting our house until the week of July 10th. Mr. ThreeYear would just be getting back from the beach then, and could work from home and oversee the process, so we agreed that Monday, July 10th would be the start date. The kids and I would still be in South Carolina, so we would miss all the fun. On Sunday, July 9th, Nate and his crew brought over the lift and the staging, and got it set up all around the house. A newly shingled-overhang by the garage. The next day, Mr. ThreeYear called and told me the guys had shown up at 6:30am. There were two of them that day. The ended up working all day, with very few breaks, until 8:30 at night! They told Mr. ThreeYear that since they had such a limited window of time to get work done in the summer, they had to work like crazy to take advantage of the good weather. The next day, another roofer joined them, and all three men worked the next couple of days to finish the roof. Mr. Three Year sent me pictures of their progress. He worked from home all week, listening to the banging and hammering. I’m so glad I wasn’t there and he was to oversee everything! The back of the house, newly shingled. He even had to deal with an anonymous neighbor of ours, who called the police TWICE! Apparently, she complained that our roofers had left nails in the road. This was patently untrue–Mr. ThreeYear said they were careful, and he even checked the road–there was nothing. We do have several temperamental neighbors, so I’m not surprised! Mr. ThreeYear calmly talked to the policeman who came out. He even dealt with the fact that the man thought he was a roofer and not the homeowner! Hispanic men deal with a lot of prejudices, let me just say. Luckily Mr. ThreeYear just laughed it off. Finally, on Thursday, the roofers finished. We asked them to also power wash the house, so they did. They had a really hard time getting off years of grime from the vinyl siding, but Mr. ThreeYear bought Magic Erasers for them, and that worked. They even removed two defunct satellite dishes from the roof that we no longer used. The roofers removed our defunct satellite dishes while reroofing the house. When we saw the “After” pictures that Mr. ThreeYear sent, we were amazed! The house looked brand new! We wrote Nate a second check for a little more than $7000 (because of the power wash) from our savings account. The finished product–Mr. ThreeYear even trimmed the shrubs in front. 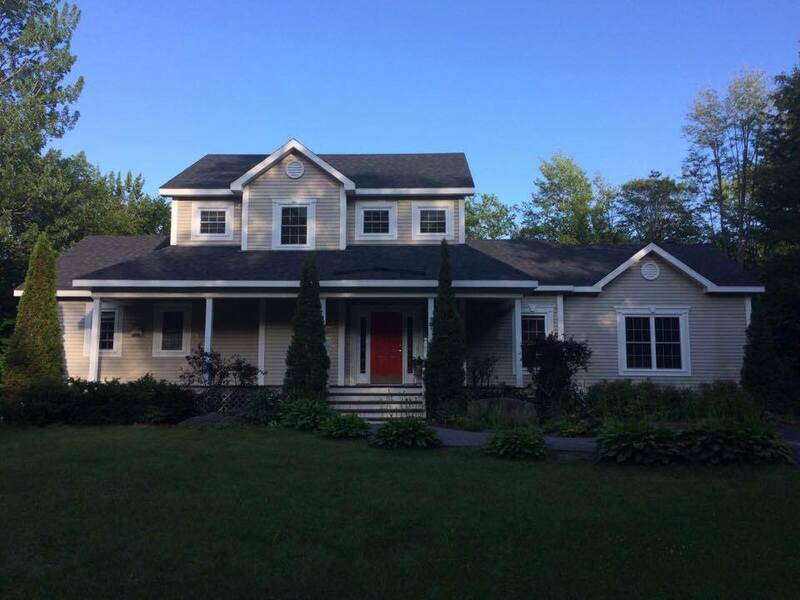 This year, our home maintenance costs were a lot more than 1%, including what we calculated to install windows on the EZ Window Solutions website. But I’m very glad to have a new roof and a clean house. I’m also glad I was out of state during the project. And we’re more knowledgeable about the process than before. Next time we’ll use the services of Flat Roofing Toronto. When we sell our house in a couple of years, I hope the new roof will be a draw (Check out TransitionRoofing.com for more information). How about you? Have you had any major home improvement projects lately? Hello! Welcome to “Location Independent, International Jobs,” the Wednesday series where I showcase stories from people who have become location independent, work internationally, and/or continuously travel (check out previous stories here, here, here, and here!). 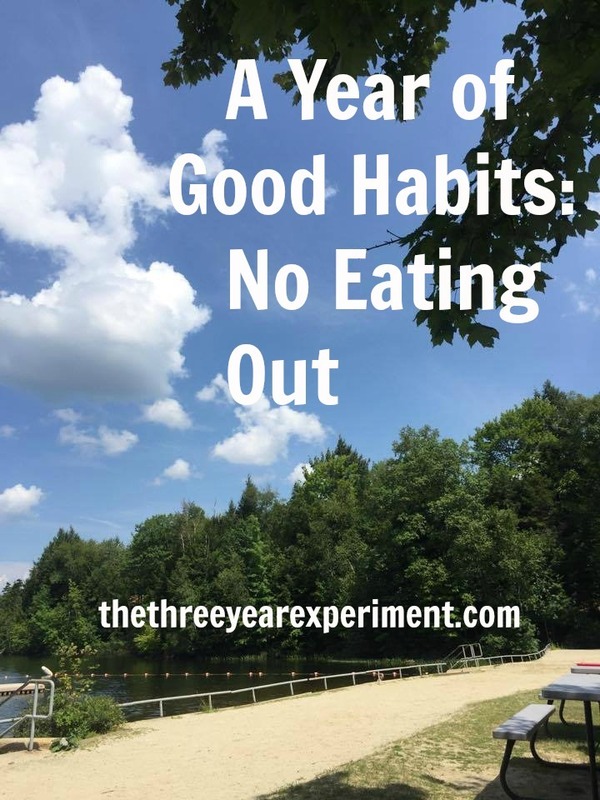 Guest posters will be sharing how they became location independent or how they got jobs abroad, but most importantly, they’ll share how their lifestyle has positively or negatively affected their finances and how they got to the life they’re living now. Today, I’d like to introduce you to Kerri, who happens to be… my sister! 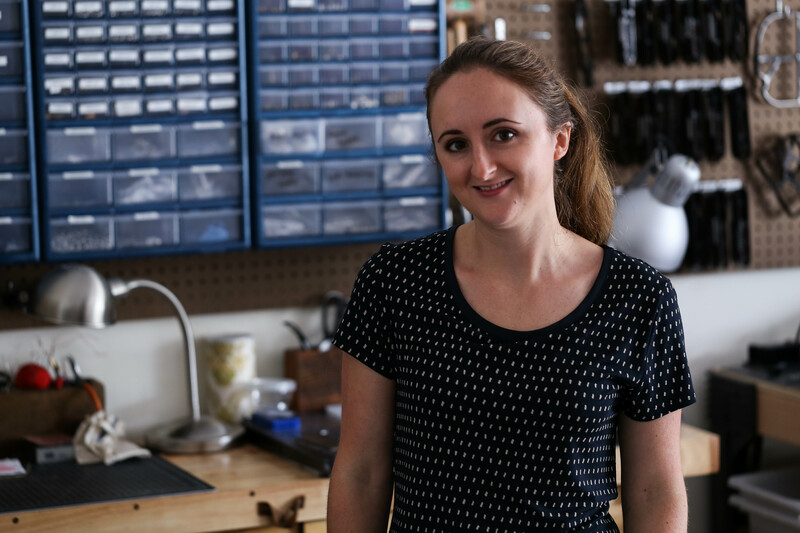 Not only is she one of the most creative people I’ve ever met, she and her husband Joel have created an incredible Etsy business making handcrafted leather goods. Their business was recently featured in the Charlotte Observer (they live in the Queen City). About a year and a half ago, the business had grown to the point that Kerri was able to quit her job at a design firm and work full-time from home. I interviewed her last week while I was staying with her for a few days. Here’s her inspiring story of entrepreneurship and location independence! I was a graphic design major in college. I’ve always been someone who likes to make things and I’ve always been crafty. When I was a kid, my definition of playing was making things. [Laurie: Yep. She and I had many a Barbie fashion show, and Kerri created fabulous Barbie outfits out of bits of fabric and ribbon. She also made crazy cool tree houses and forts in the woods]. After college, I got a job with a yearbook design company doing corporate marketing and I worked there for one year. After college, I moved to Milan, Italy, to attend Domus Academy, a prestigious design school, to obtain my masters in design. I’d always wanted to move abroad, and I teamed up with a friend of mine from college to plan a way to get there. I was there for a year and while I was there, I got a crash course in product design and the Italian design process. Kerri in her Charlotte, NC, leather working studio. When you think of Italian design, you think of some of the greatest designers in the world. And I was heavily influenced by the Italian way of doing things. They have such an incredible sense of history and craftsmanship there, a strong sense of history and tradition in everything they do. There is always a nod to the past and to the process. That stuck with me, not to mention the leather. When I got back from Italy, I moved back to Charlotte, where I’d been living before I got my Master’s. It was a down economy, so I felt very lucky to get my old job back. It wasn’t my dream job, but it was stable design work. Joel, my then-boyfriend, and I had been dating for a few years at that point, and we got married in 2010. We met in college, where he was also a graphic design major. While I was in Italy, he’d gotten a job with Rubbermaid designing their packaging.